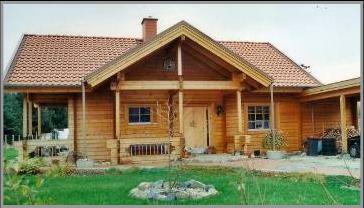 Log Houses have a very long tradition over most of Northern Europe, America and Canada. 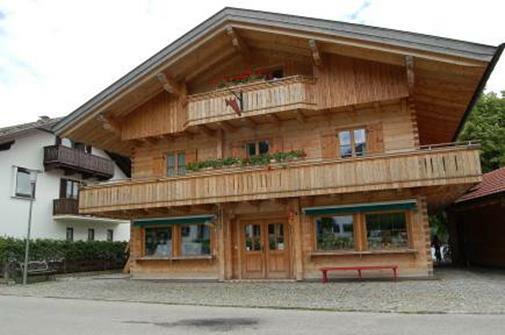 Traditionally whole tree trunks, left naturally round or cut square, were used to build the walls of houses. 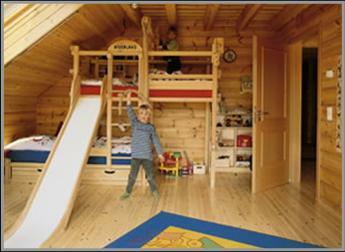 Very well insulated through the thick timber, they give excellent shelter in any climate condition, be it cold or warm. 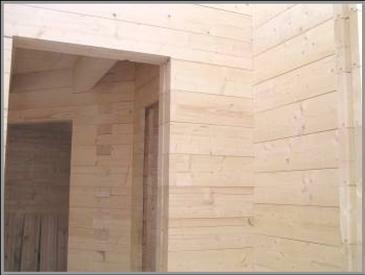 It is not widely known that timber has an additional benefit to shield especially well from hot temperatures. 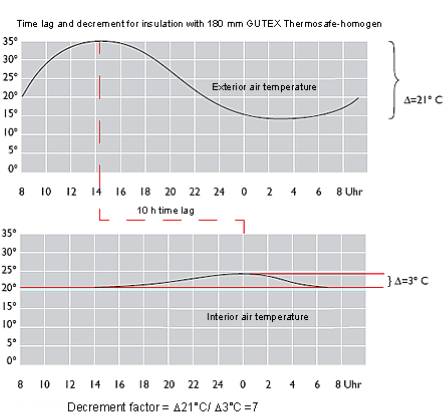 The R-Value of a material tells us the speed of temperature flow through this material. 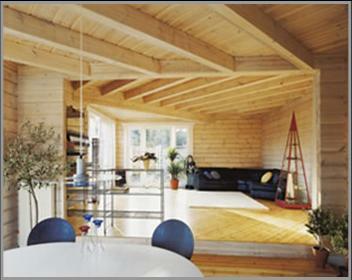 As timber has one of the best heat storage capacities (211J/kg) of any insulating material, it gives an additional benefit on top of the basic insulation value. It stores heat during the day, and only transports a small fraction to the inside hours later. As in the cool of the night the stored heat radiates back to the cooler outside, the inside temperature changes very little (see diagram). This is a similar phase change effect seen with thick stone walls in old buildings. 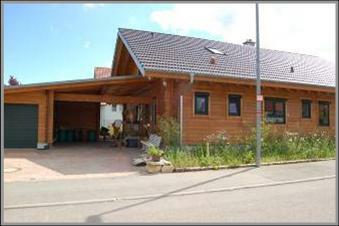 The difference is: Timber or wood insulated walls have a high R-rating on top of this effect and will perform better in all temperature ranges. 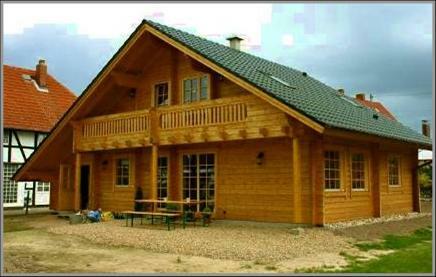 We supply solid Glulam log homes manufactured to your specifications. 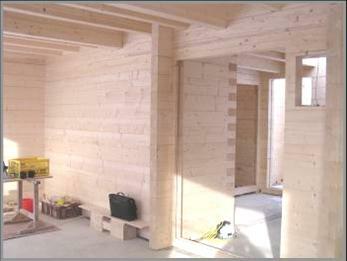 All timbers are dried to around 12% moisture content prior to machining to avoid shrinking. 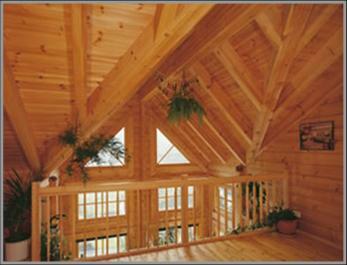 All logs are laminated and precision-machined to ensure easy assembly and long lifespan. Due to the big timber sizes used, a solid log home will withstand a bushfire, earthquake and cyclone much better than a conventional stud home. Delivered to your building site ready to be assembled.